Patrice Kilham lives in Deerfield, New Hampshire with her husband, Bob and two children, who are very tolerant of her humor. She enjoys the perks of country living which include peeper-frogs, turtles, and wildlife in the backyard, great neighbors and the opportunity to enjoy nature in abundance. Patrice has desired to be a writer since she was old enough to hold a crayon. Her ambition has always been to tell stories that make people laugh and to maybe, think just a little bit about human nature. The Adventures of Mother Jasper is her first book of stories to be published. "The Adventures of Mother and Jasper"
Join Mother and Jasper, and a cast of common, and not so common, home town friends as they find their way through life’s rocky roads. Jasper's direct, New England approach to daily obstacles and conflicts offer a hilarious perspective on “normal” living. Mother, ever accepting, does her best to cope, but is not without a bit of spice and curiosity. 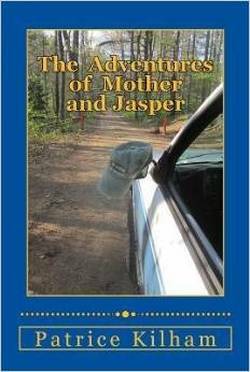 New roads, adventures, new experiences with Jasper and Mother will make you laugh and see the world in a different and more comical way! 12:30 p.m. 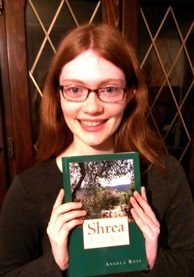 This former Coe-Brown Northwood Academy student is already the author of two books. The turn out for this event was impressive and Angela handled the event like a pro, selling both of her books: “Shrea: A Journey of the Soul” and “Half-Blood Crest”. Angela has three things she can't live without. The 17 year-old is never far from her laptop, which has her works in progress, as well as seeds for dozens of stories just waiting for her undivided attention. She also uses it to access the latest chapters of the anime' and manga that she loves. It also holds her second necessity, her favorite music. She enjoys singing and composing, and enjoys all types of music, especially Japanese pop and vocaloids. Third, and by no means least, Angela adores her extremely large cat, Chame'. He graciously shares his home in Center Barnstead with Angela and her family. James Marino, just published his first novel, The Keepers of Mercia and is working on a sequel. 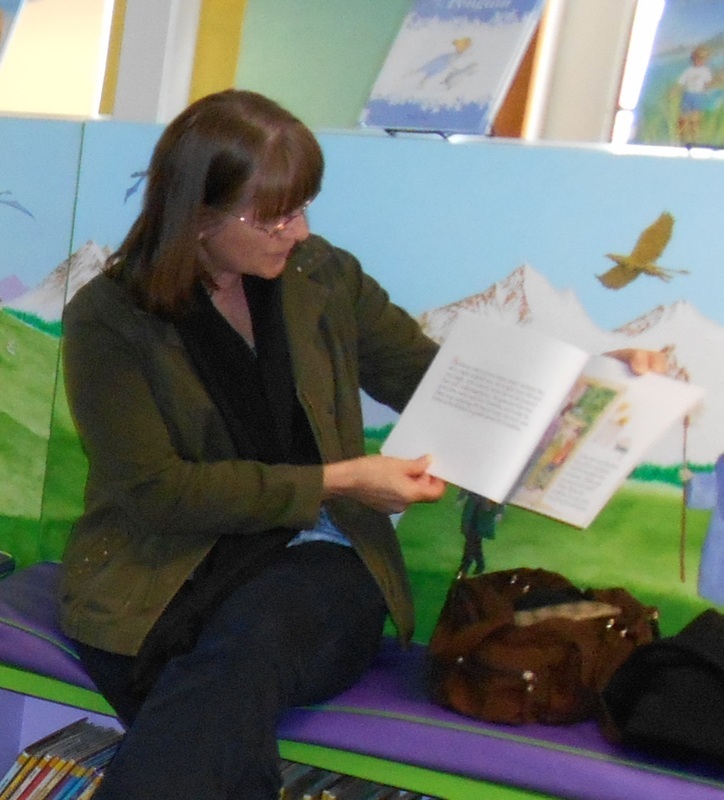 We hosted James at Chesley Memorial Library (Northwood) this past Saturday. We had a small, informal gathering and James was glad to speak to our patrons, young and old, about the writing process and about his book. We were very glad to have him, and he enjoyed his time as well. His e-mail address is havenhillwriter@gmail.com. About the book: While Binette awaits her father in the large trade village of Riversplit, she encounters an elder who confirms scant rumors being spread by merchants that a religious legion in the far west, known as the Jebedah, have been pressing villages into its ranks through sadistic means. Stirred by the perceived stature of the elder, and an unexplainable sense of burden, Binette leaves home and journeys west with the elder and his bodyguard, a spirited warrior who is as complex as she is fierce. By the time Binette fully understands how dangerous a threat the Jebedah pose to all of Mercia, and as she struggles to contemplate the savage destruction around her, she learns that her role in assuring the land's future will be far larger than she could have possibly imagined. The trust and admiration she has for the elder are tested by events, past and present, that reveal to Binette the tenuousness of the line that separates righteousness from corruption. The Keepers of Mercia is a YA/Adult fantasy novel with a strong coming-of-age story weaved into a fantastical setting. 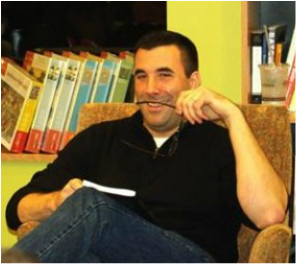 James I. Marino worked in the marketing department of a Fortune 500 financial company for eight years before attaining a Masters of Fine Arts degree in Fiction Writing from Southern New Hampshire University and joining the English Department there as an adjunct professor. He has a deep appreciation of nature that can be seen in the well-crafted images that punctuate his writing. He resides on Havenhill Farm in Canterbury New Hampshire with his wife Megan, their son Max, and several furry friends. 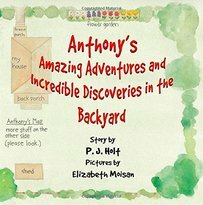 "Anthony's Adventure and Incredible Discoveries in the Backyard". With his field scope in hand, an eight-year-old boy observes life in a small pond, in the lawn, and in a hole he digs in the driveway. But when he visits the creatures he sees, is it his imagination—or does he really go there. Book Signing by Jeanne Fournier, author of "Grieving with Grace"
When Jeanne Fournier’s twenty-six-year-old son John walked into her house in California and said, “Get out the shovel, I’m HIV positive,” she knew that her life had suddenly changed in ways she could never have imagined. 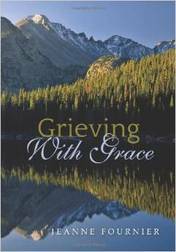 Thus began the ordained minister’s journey of seventeen years, which she recounts in uplifting, honest detail in Grieving with Grace, her deeply affecting new book of strife and spirituality. It’s certain to comfort anyone faced with challenging circumstances and help readers seek out God to work through life’s most trying times. From gut-wrenching grief to loss of faith to sheer anger, she soon realized that this turn of events was “Too Damn Big.” First, when she wasn’t on speaking terms with God, she turned to her deceased mother Gertrude for guidance, and was greatly comforted to discover signs that her mother’s presence made itself known from the other side. With grace and a tender heart, one mother embarked on a journey that no parent should have to face. However, she leaves a legacy in Grieving with Grace, her gentle, open-eyed account of a faith shaken by the unimaginable, and made all the stronger for it in the end. It’s a story of loss and love, and the Spirit that presides over both to help us endure. 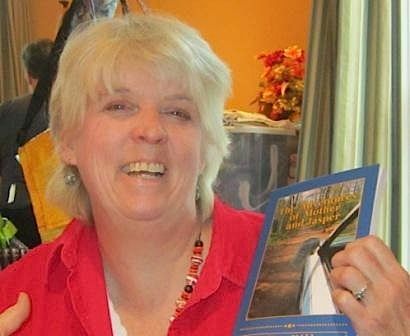 Author Jeanne Fournier is a mother and ordained interfaith minister with an extensive background in nursing, social services, and prison ministry. Jeanne resides in Northwood, NH.